When you're at the top of your game, you need gear that can keep up. The AF-S NIKKOR 600mm f/4E FL ED VR makes no compromises when it comes to performance. 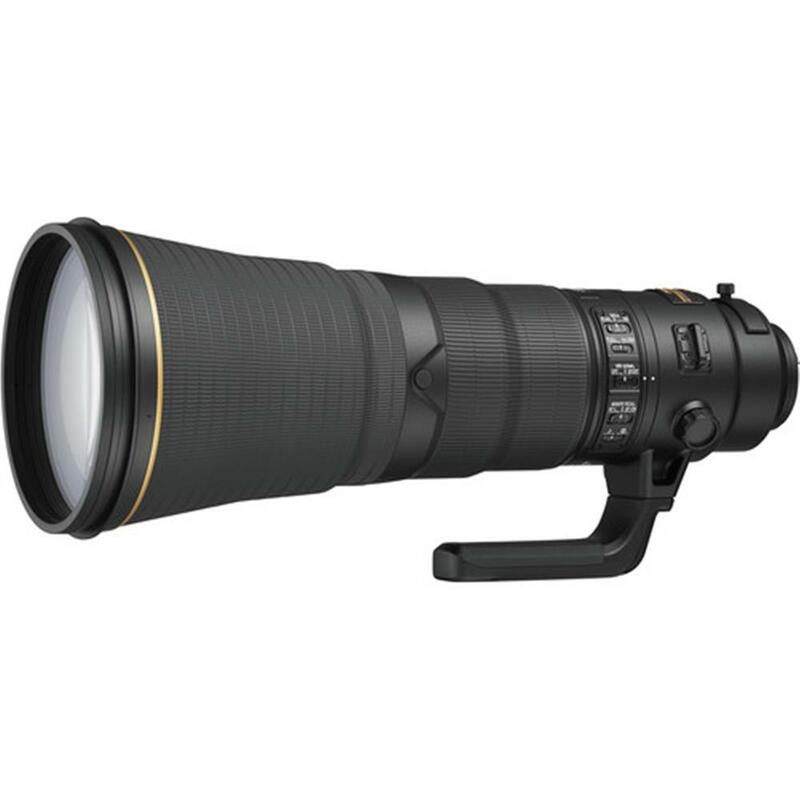 This popular 600mm prime lens has been optimized for today's high-resolution image sensors and fast shooting Nikon DSLRs, elevating your ability to quickly capture stunning images. A new magnesium alloy lens barrel design and the incorporation of fluorite elements makes it nearly 3 pounds lighter than its predecessor. Pair that with the latest in lens innovation and optical precision for the ideal lens choice for outdoor sports, action and nature photographers who need the reach a 600mm focal length will provide. Reduce blur caused by camera movement, even in low light. Nikon's VR image stabilization counteracts camera shake and vibration up to 4.0 stops, a must-have feature when working handheld, on a monopod or even a tripod. A specialized Sports Mode is optimized for camera pans and fast-action sports, and the Tripod Mode eliminates the subtle ground vibrations that are constantly passing through a tripod or monopod. Track fast moving subjects?even those moving erratically, at random speeds or approaching the camera quickly?with tack-sharp AF precision. During high-speed continuous shooting, the electromagnetic diaphragm mechanism operates in sync with the camera shutter for fast automatic exposure control and consistency between shots, even when using a compatible teleconverter. This is a lens built for tough assignments. A new magnesium alloy barrel and fluorite elements reduce the overall weight by nearly 3 pounds versus its predecessor. The protective front meniscus is coated with Nikon's non-stick Fluorine coat, which makes it easier to wipe off water, dirt and smudges. Ball bearings in the tripod collar ring ensure smooth transitions between horizontal and vertical shooting. For pros shooting fast and erratic moving sports subjects, using the SPORT VR mode will give you a more stable viewfinder image, handheld or when using a monopod, even if you're panning. Track subjects easier when shooting in Continuous mode and as an added benefit with the D4S, the continuous shooting frame rates and release lag time are not affected while using VR. Even use SPORT VR when shooting HD video. The Tripod VR function even eliminates the vibrations that may transfer from the ground to the tripod in both Normal and SPORT VR modes.